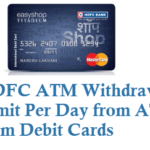 If you are a City Union Bank customer and would like to withdraw money from City Union Bank ATM or any other Bank ATM then there will be Withdrawal limit based on the ATM Card type you have like Visa, MasterCard, Rupay. 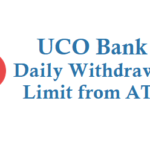 Check below for the CUB ATM withdraw limit. 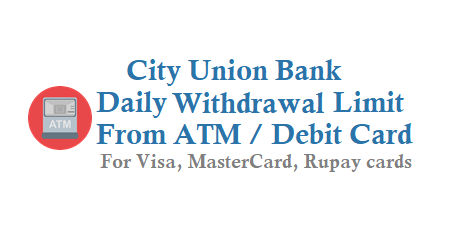 City Union Bank issues ATM or Debit cards with Visa, MasterCard, Rupay. 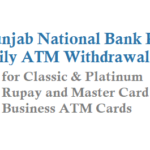 And in Visa City Union Bank have Classic, Gold and Platinum cards For MasterCard only Classic and Business cards and with Rupay Classic, Platinum and Special PMJDY ATM/Debit cards.  You can also set the limit for Online ecommerce transactions, Pos machines. 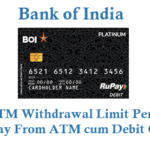 For CUB Rupay Platinum ATM Card withdrawal Limit from ATM is Rs. 1,00,000 daily for PoS Rs 2,00,000 and for E-commerce Rs 2,00,000. 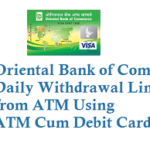 For Visa Platinum ATM Card withdrawal Limit from ATM is Rs. 1,00,000 daily for PoS Rs 2,00,000 and for E-commerce Rs 2,00,000. 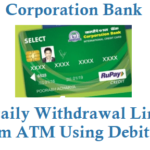 Note: In Any City Union Bank ATM at once you can withdraw Rs 15,000 each.